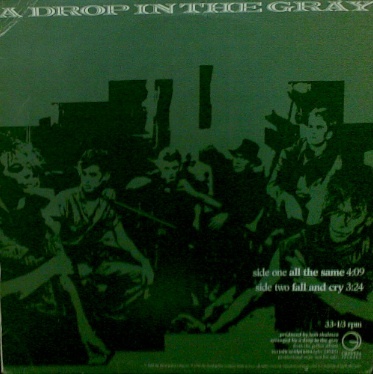 The American New Wave group A Drop in The Gray released their debut "All the Same" through Geffen records in 1984. The single was backed by "Fall and Cry" and both songs were included on band's only album 'Certain Sculptures' which was released in 1985. Sadly after another single release the band split. The album is still waiting for the reissue.